The normal distribution is something that's scarily applicable to a host of real world scenarios, and our humble sport of cricket is not exempt from it. Take batting averages for example, there are a few great batsmen, many who sit somewhere in the middle, and those that belong firmly at the bottom of the scrap heap. But every now and then lightning does strike twice, rivers are parted, the book of logic is tossed out the window. These are the days dear reader, when a bunny rises above the rest. The inspiration of this article, the enigmatic Best was aptly described as a 'Ferrari without a steering wheel'. Andrew Flintoff many years ago told him to "mind the windows" during his turn at the crease and poor old Tino took the bait and went looking to smash the ball into the Indian Ocean. Needless to say he missed it completely and that's all she wrote. However fast forward a few years and Best returned with a vengeance, he just recently completed the highest Test score by a #11 batsman, ever. His 95 came against the supposed best Test team in the world, in conditions that typically favour bowling, and with surprisingly crisp stroke play with all the charming exuberance of a tail ender. 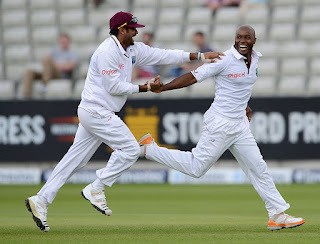 A pleasure to watch, and the West Indians might finally be mustering a comeback. A granddaddy of batting abominations, the infamous Glenn McGrath turned the tables on an already hopeless New Zealand team by excavating 61 runs in a strange mixture of leading edges, dropped catches, and a stylish slog sweep for six of Daniel Vettori. 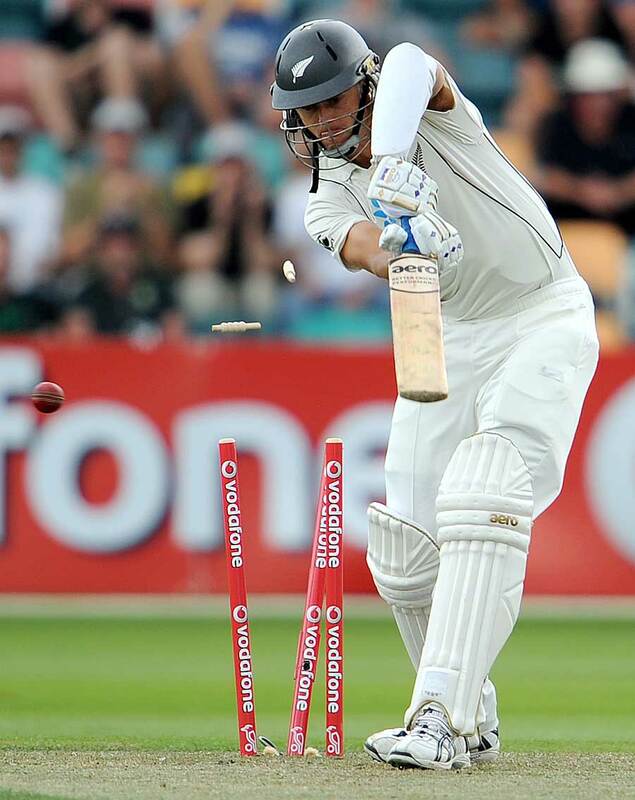 A furious Jacob Oram and a bewildered Adam Gilchrist witnessed the impossible become a sad reality, a test match half century for the pigeon and the ultimate insult to New Zealand bowling. 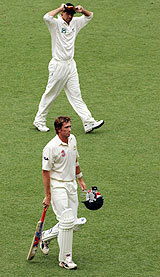 Just for the record New Zealand proceeded to be bowled out for 76, just 15 runs more than McGrath. A surprisingly poor South Africa were consoled by the usually hapless Ntini, as he swung awayto a personal record of 42 not out including two sixes. A pleasant surprise indeed from a guy who once clean missed a dead straight pie from Chris Gayle. Sri Lanka were hurtling towards defeat against Bangladesh when the comical batting of Murali took over. He spanked a no-nonsense 33 off 16 balls to steal victory, lighting up an otherwise dour innings that had a run rate hovering around three. Murali at the batting crease is the stuff of legend, you can't fault him for lack of effort even if he does resemble a drunk ballerina at times. The proud owner of Test history's longest duck, he patted the ball out for a total of 77 balls and 101 minutes... only to be dismissed for a grand total of zero. He even went on to raise his bat in acknowledgement when the hundredth minute clocked up, and this is the closest thing we have had to a #11 centurion. But then of course there are some unfortunate souls who will never enjoy a day in the sun. Maybe there is a Test 50 lurking around the corner for the enigmatic Chris Martin?